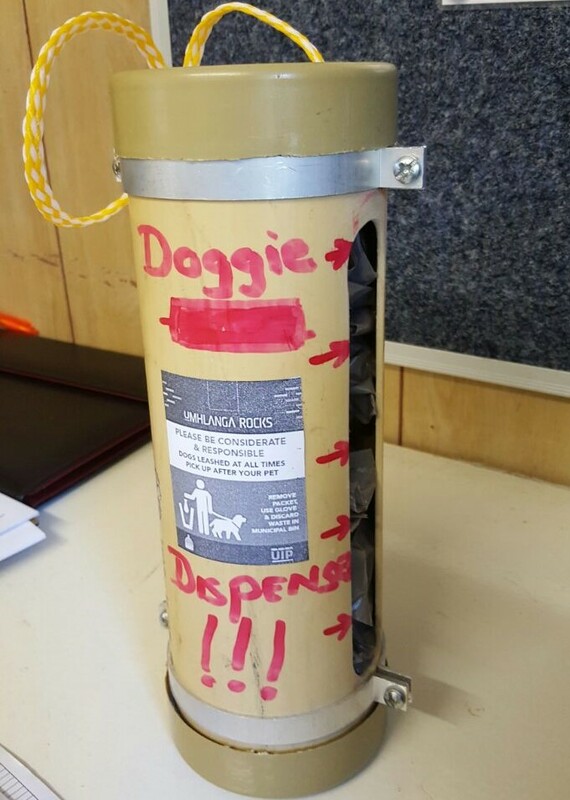 The UIP has been working on the design of a cost-effective and robust dispenser for dog “doo” packets. After 2 days of “product-testing”, the prototype has been given the thumbs by local dog walkers, and will now go into production. Look out for them at regular intervals all along the promenade. 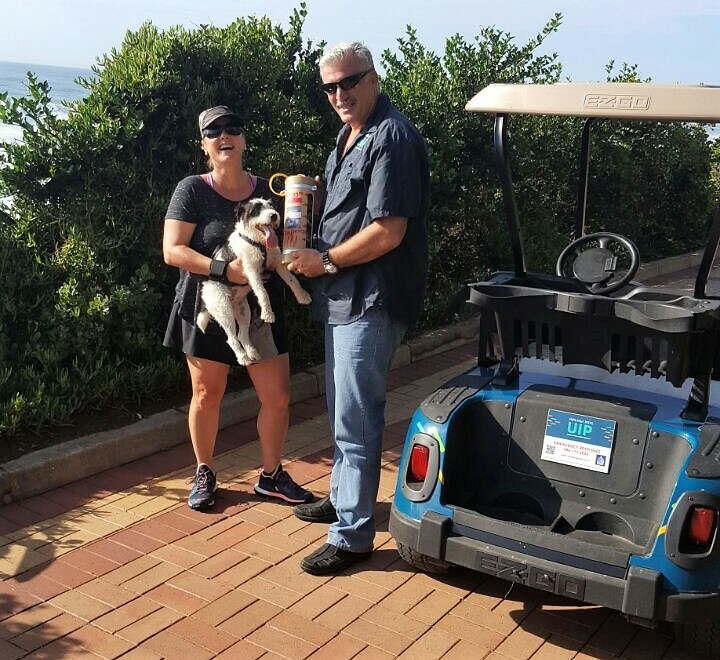 In the main image promenade regulars Robyn and her dog Lola give the dispenser their seal of approval and below is a close up of the prototype created by our operations manager Dewet – nice job Dewet!